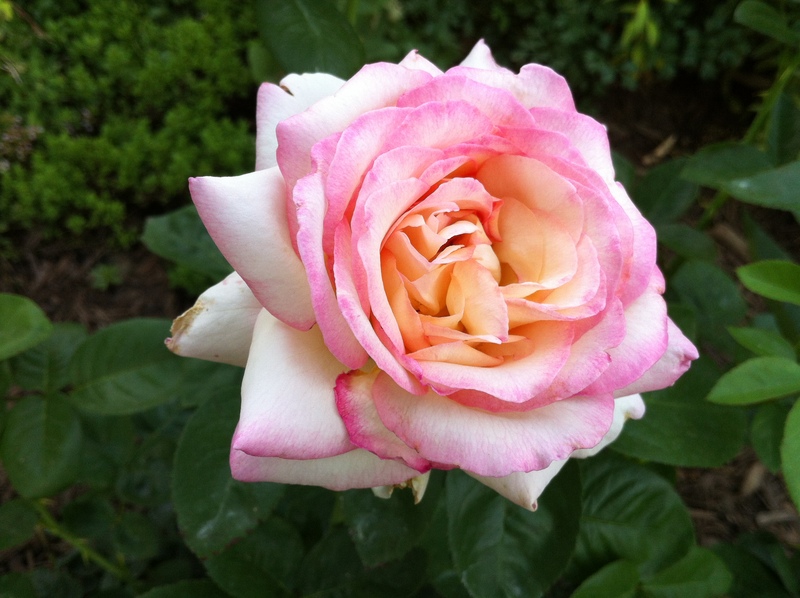 The Peace Rose is one of the most famous and beloved roses of all time. 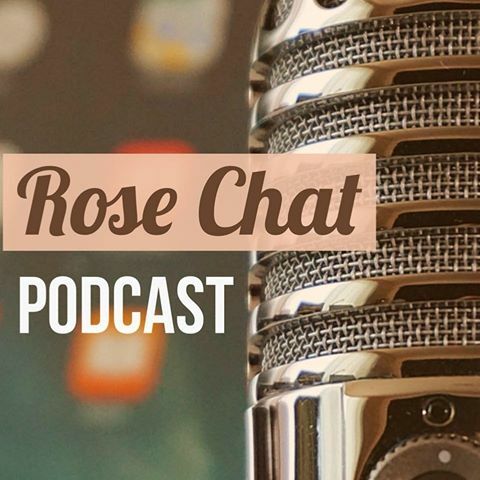 I had this rose once upon a time, in fact … it is one of the first roses my son gave to me– which made it very special. However, during one of our particularly harsh Indiana winters, we lost it. This week I saw an extremely healthy Peace Rose on the Lowes sale table. I thought it is time I had a Peace Rose again. 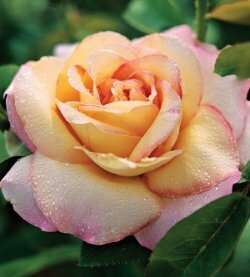 The Peace rose was awarded the prestigious All-American Rose Selections Award (AARS) for 1946, the only rose to receive this honor that year. Have you gotten any plants on sale lately? Glad you have a shady front porch… 🙂 The weather had been brutal for young plants especially. 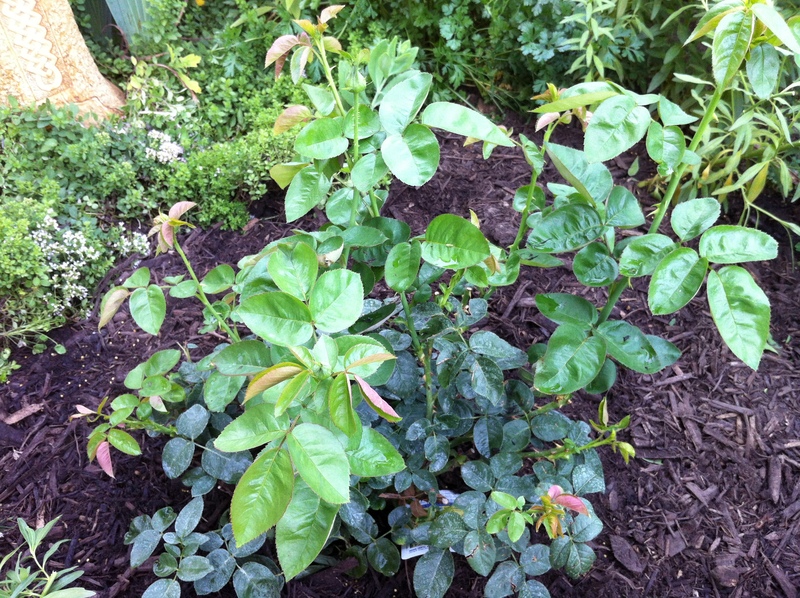 Thanks for reminding me to check out plants on sale… I love how it was your son that bought you your other peace rose. Now you will think of him when it blooms! One of my sons cuts my lawns and the other one is a great by my side helper for digging. He even prayed for my old rose garden to grow well when he was little. I kept the little prayer note. He is taller than me, now! What sweet stories. We don’t want to forget these special moments! My son is a gardener and grows roses now. It is so fun to share our love of gardening with our children. My mother always had a Peace rose. I’d sort of forgotten it till I read this. I didn’t know the history of it. What a great post! It is a beautiful rose and the history makes it sooo special. One of my favorite varieties of roses!